It was a Friday afternoon when Kelly came by for the interview before her private AntiGravity Aerial session. You know you’re an avid Upsider when you come to Upside Motion four times a week but still can’t get enough of it. Working as an air traffic controller, Kelly shared with us how she found the perfect fitness routine for her body and soul after the long stressful hours sitting in front of the radar scope. UM: Hello Kelly! Could you tell us about yourself and how your fitness journey began? Kelly: I practiced yoga for more than a year before my teacher took a break. 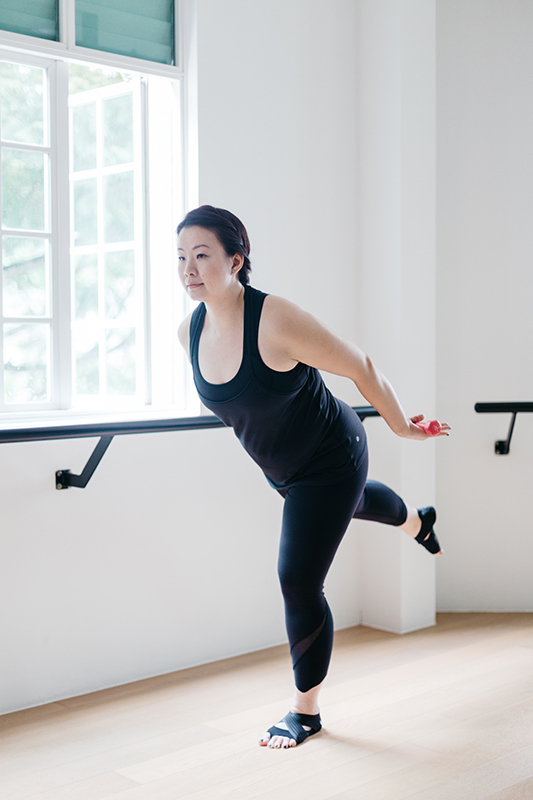 I first discovered Xtend Barre when I travelled to the US. Totally up for something new and different, I searched for barre classes when I returned and Upside Motion showed up as top of the list. It’s been five months and I’ve never regretted! UM: What keeps you coming back so frequently since then? Kelly: I love that the instructors here are meticulous with their teaching, tailoring every class to cater for everyone on various levels. For example, Mirna always plans out the flow based on the overall strength of the class so if there are newcomers in the class, she would make it easier for them to keep up with the others. But that does not mean it is any easier for us either. I can always put on a deeper plié and higher relevé to maximise the intensity of the workout. The instructors also emphasise that this one-hour class is the time you devote wholeheartedly for yourself, which I found especially true and an important message that everyone needs. I always walk out after class feeling happy and refreshing. UM: What are the changes that you have seen and felt so far? Kelly: Over the past five months, my posture improves greatly. I used to have trouble sleeping and usually woke up in the middle of the night. Now I sleep really well until the next morning and didn’t have that problem anymore. UM: What is your weekly fitness routine? Kelly: I usually come in four times a week on alternate days: 2 Xtend Barre, 1 private AntiGravity and 1 Pilates. 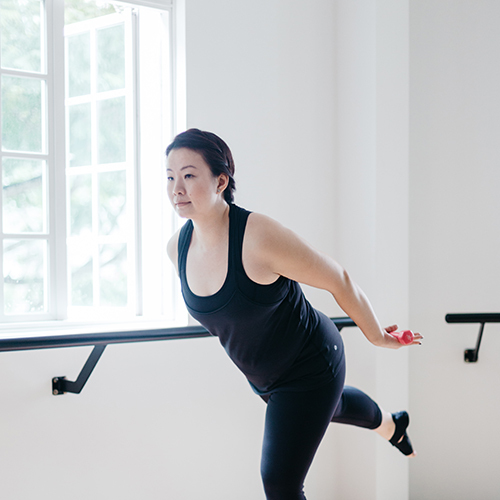 I came for only Barre in the first few months but gradually shifted my attention for AG & Pilates as well. I found myself need more stretching alongside with cardio so Pilates is a good addition to balance in between Barre classes. In the beginning, I used to try to come in everyday! I even took two classes in a row but only then I realized that after AG Power Stretch, I couldn’t give my best in Barre class. AntiGravity is an unique work-out and comes with its own challenge so you don’t really notice that your body is already tired and need a rest. Lesson learnt but at least, I gave it a try! Kelly: The feeling of being well taken care of from the front desks to the instructors. Those moments during class when I look around and see that everyone is going through the same kind of pain and we are laughing at ourselves but still pushing hard because the instructor is screaming just a few more counts. And then comes the essential muscle soreness after the classes. UM: Any words you would like to share with the newbies? Kelly: Keep an open mind and just laugh at yourself and have fun! If I can do it, you can do it too!